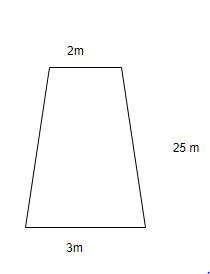 A masonry chimney having the shape of a frustum of a cone is 25m high. 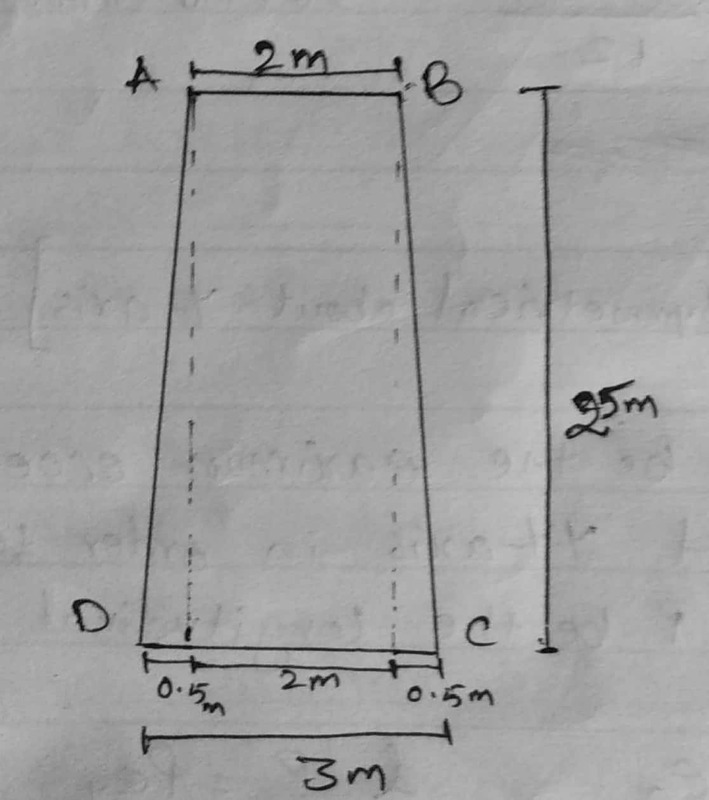 The external diameter at the top and the internal diameter at the bottom is 2 m. The chimney is 0.5 m thick at the base. 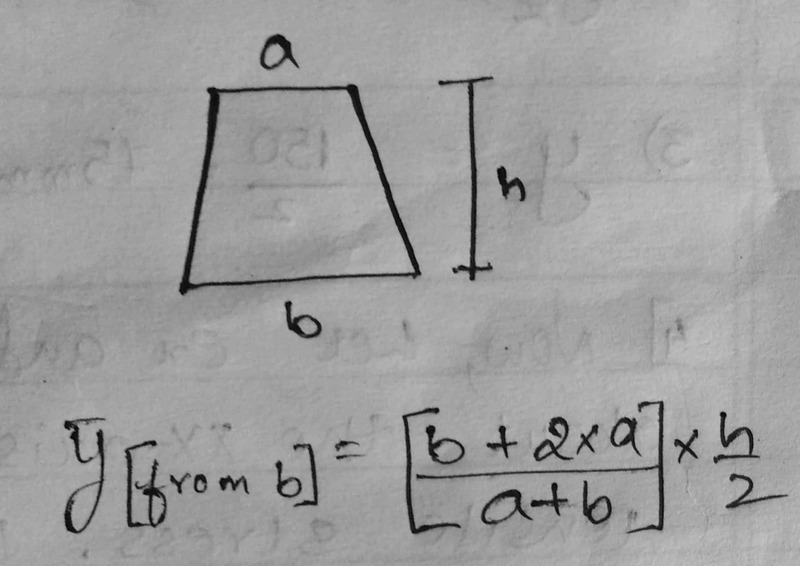 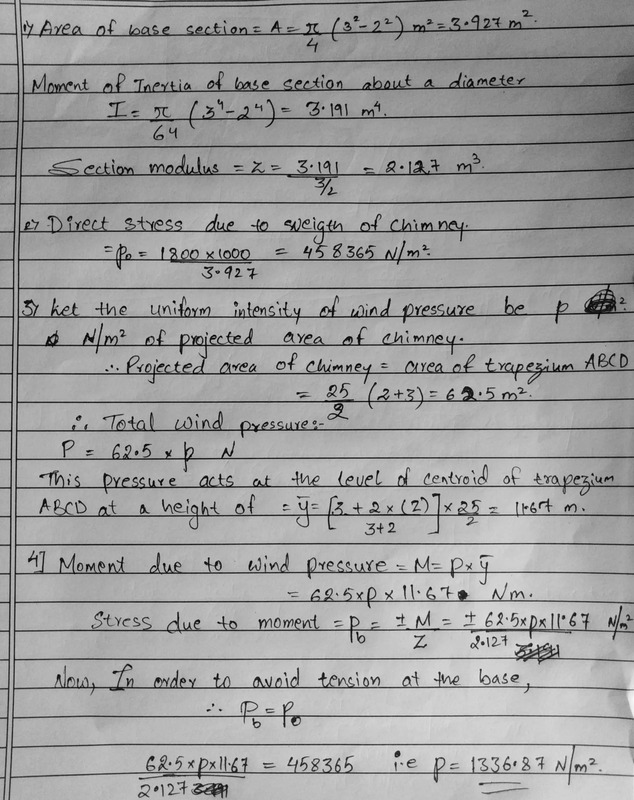 If the weight of the chimney is 1800 kN find the uniform horizontal wind pressure that may act per unit projected area of the chimney in order tension at the base may be just avoided.